Item # 155008 Stash Points: 3,997 (?) This is the number of points you get in The Zumiez Stash for purchasing this item. Stash points are redeemable for exclusive rewards only available to Zumiez Stash members. To redeem your points check out the rewards catalog on thestash.zumiez.com. 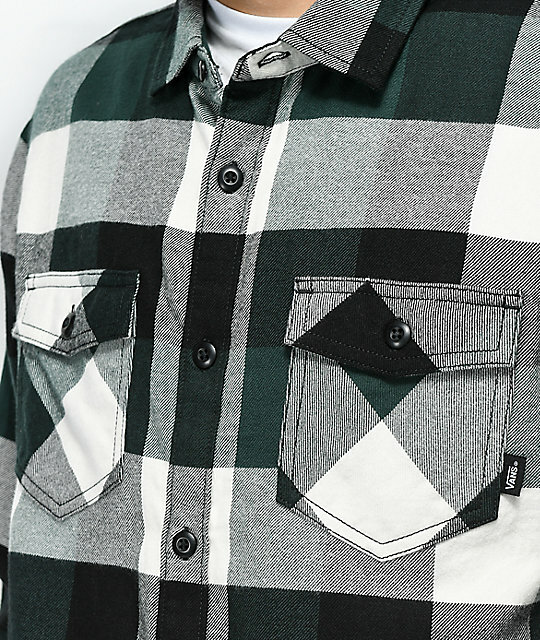 Perfect for layering or wearing on it's own, the Box green and white flannel shirt from Vans offers a classic silhouette that you can easily dress up or wear more casually. This soft flannel design features a green and white plaid pattern throughout and is finished with dual button down chest pockets for convenience. 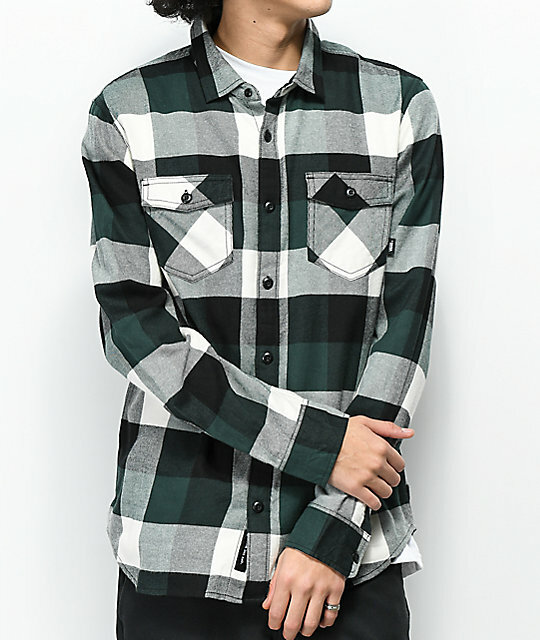 Box Green & White Flannel Shirt from Vans. 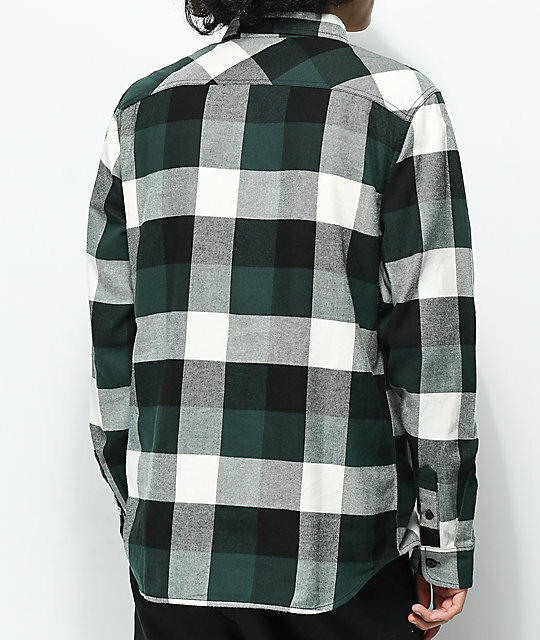 Flannel construction with green and white plaid pattern.